Home > MIP Swag! 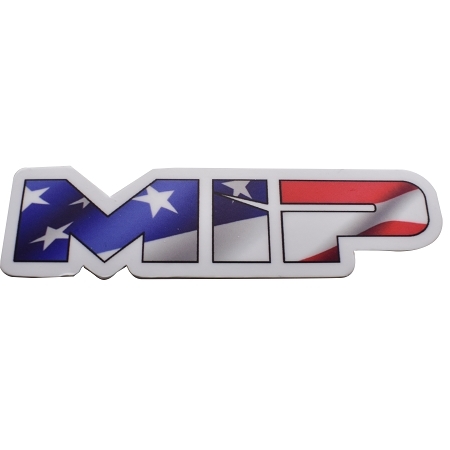 > #5106 - MIP American Flag, Die Cut Vinyl Sticker, 3.73" x 1"
Represent America and MIP at the same time with this Die Cut American Flag MIP Sticker! Get your new Logo sticker for your ride and more! Thick, durable vinyl protects your stickers from scratches, water & sunlight. 1 - MIP American Flag, Die Cut Sticker, 3.73" x 1"